We start this week’s MLB Fantasy report by keeping ourselves honest. 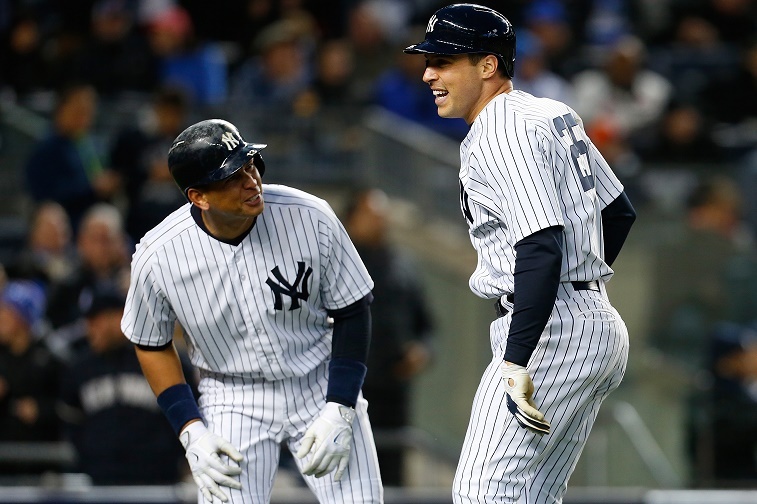 In the first four weeks of the 2015 season, we’ve made a few bad calls (Wilson Ramos, Anthony Gose), but we also nailed picks in consecutive weeks with A-Rod and Mark Teixeira delivering two home runs apiece the night we suggested putting them in the lineup (you’re welcome). But we digress. In Week 5 of the season, it’s all about injury management and coddling underperforming stars. Masahiro Tanaka, Adam Wainwright, and Brandon McCarthy are out indefinitely after injuries suffered since we last made the rounds. Here are five MLB players who serve as worthy replacements for stars who’ve fallen to injury or slumps in 2015.
Who is a top 20 MLB pitcher yet available in over half of Yahoo leagues? The answer is Aaron Harang, the Rodney Dangerfield of fantasy baseball in 2015. He gets no respect because he pitches on the Phillies and doesn’t look terribly athletic, but this game is about results. 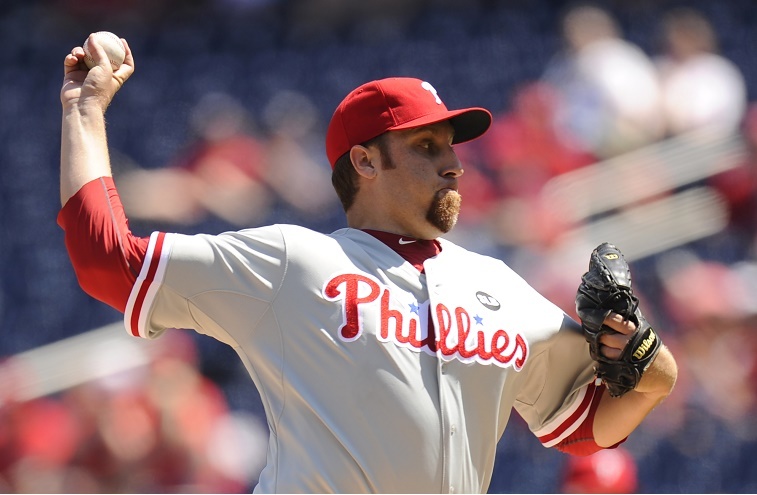 Through April 30, Harang has better fantasy numbers than Max Scherzer, Madison Bumgarner, and Stephen Strasburg. Anyone who has lost a starter will find a solid replacement here. You can even get two starts out of Harang in Week 5. Morales, another ballplayer who could spend less time at the pregame buffet table, has put up some serious fantasy numbers through the first four weeks of play. He’s outperformed Jose Bautista, Miguel Cabrera, and Matt Kemp so far yet is available in over one-third of leagues. 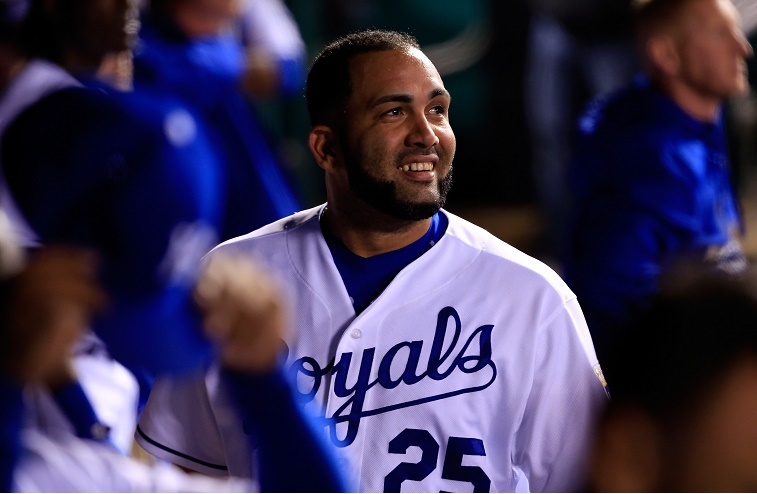 Hitting is contagious, and playing on an exciting team seems to be working wonders for Morales in 2015. Certainly you should expect the top first basemen to end up with better numbers, but for now this slugger can replace any hitter who’s left you hanging. If you were one of the fed-up owners who dropped Porcello after his ugly third start — over 30% did — we don’t blame you. The 12 hits and 8 ER were enough to send anyone running. 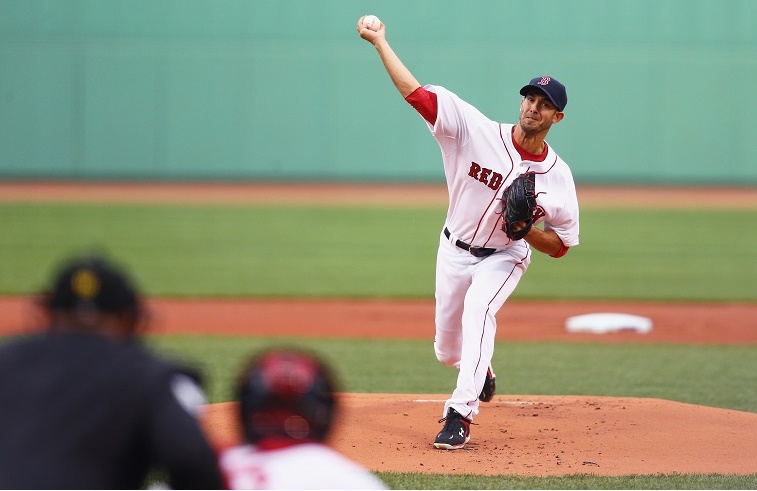 Yet his rough patch is an opportunity for fantasy owners, as Porcello has showed signs of righting the ship. In his last two starts, he threw 13 IP with 5 ER and 13 SO. Even with his bloated 5.34 ERA, he ranks in the top 25 among starters. Grab him now, as the worst is probably behind him. He definitely works as an upgrade over McCarthy. You might say “No Respect for the Royals” is the subtitle to the 2015 season. It’s caused bench-clearing brawls, suspensions, and much media chatter in recent weeks. 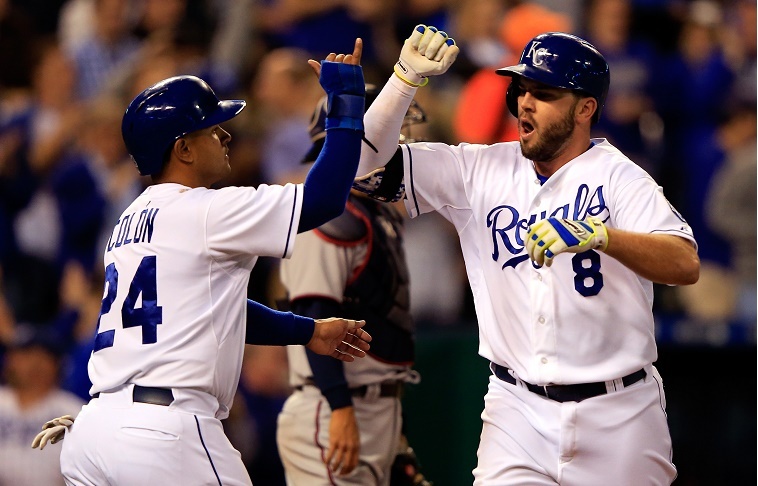 In the fantasy world, we stick to the numbers, and Moustakas is showing he can put them up with consistency. He is No. 26 among all batters through April (better than Pedroia, Ellsbury, Manny Machado, etc.) and hits in the sweet spot between Alex Gordon and Lorenzo Cain. Moustakas is getting his pitches to hit and knocking them to the tune of a .356 average. He’s available in about 40% of leagues yet ranks fifth among MLB third basemen. 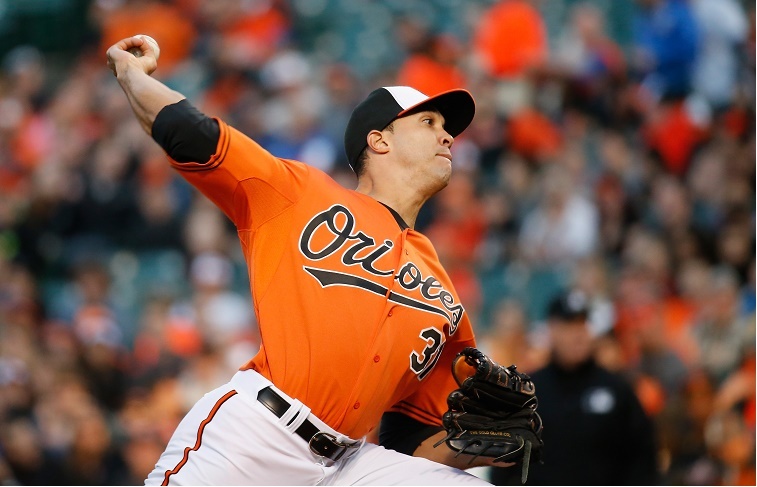 Is Ubaldo back? After a lost 2014 campaign, the right-hander has looked sharp in three of four starts. (In one, he was the victim of a preposterous ejection in Boston.) All told, Jiménez has a 1.59 ERA and 0.79 WHIP in 22.2 IP (22 SO), and he’s available in over half of fantasy leagues. By season’s end, there may be a reason for that, but we’re a long way from September. If you need points and want a starter who’s outperforming Carlos Carrasco, Jordan Zimmermann, and Chris Sale this season, go with Ubaldo. He’ll at least tide you over until Tanaka returns.